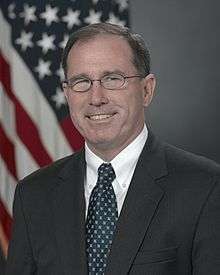 The Under Secretary for Intelligence or USD(I) is a high-ranking civilian position in the Office of the Secretary of Defense (OSD) within the U.S. Department of Defense that acts as the principal civilian advisor and deputy to the Secretary and Deputy Secretary of Defense on matters relating to military intelligence. The Under Secretary is appointed from civilian life by the President and confirmed by the Senate to serve at the pleasure of the President. The Office of the Under Secretary of Defense for Intelligence (OUSD(I)) is principal staff element of the Department of Defense regarding intelligence, counterintelligence, security, sensitive activities, and other intelligence-related matters. 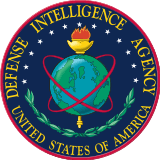 As the Secretary of Defense's representative, the USD(I) exercises oversight over, among others, the Defense Intelligence Agency (DIA), the National Geospatial-Intelligence Agency (NGA), the National Reconnaissance Office (NRO) and the National Security Agency (NSA). In addition, the Under Secretary is also dual-hatted, serving as the Director of Defense Intelligence under the Office of the Director of National Intelligence. With the rank of Under Secretary, the USD(I) is a Level III position within the Executive Schedule. Since January 2010, the annual rate of pay for Level III is $165,300. 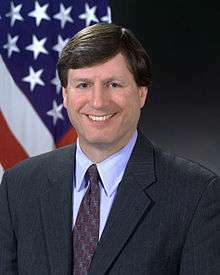 The position of Under Secretary of Defense for Intelligence was created by the National Defense Authorization Act for Fiscal Year 2003 in the aftermath of the September 11 terror attacks to better coordinate Department-wide intelligence activities. It became second in the line of succession for the Secretary of Defense, after the Deputy Secretary of Defense, after an executive order was made by President George W. Bush on December 22, 2005. When it was created, the legislation described it as taking precedence in the Department behind the Under Secretary for Personnel and Readiness. 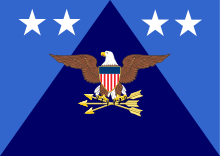 On November 23, 2005, a Department of Defense Directive was made by Secretary Rumsfeld that stated that the Under Secretary shall serve as the Secretary's primary representative to the Office of the Director of National Intelligence. It also stated the Under Secretary shall provide policy and oversight on the training and career development of personnel in Department of Defense's counterterrorism, intelligence, and security components. The Under Secretary has the duty of finding candidates to be nominated to serve as Directors of the Defense Intelligence Agency, the National Geospatial-Intelligence Agency, the National Reconnaissance Office, and the National Security Agency, and overseeing their performance. The USD(I) became a dual-hatted position as Director of Defense Intelligence, acting as the primary military intelligence advisor to the DNI. This additional position follows a May 2007 memorandum of agreement between Secretary of Defense Robert Gates and Director of National Intelligence John Michael McConnell to create the position. The Under Secretary leads the Office of the Under Secretary of Defense for Intelligence (OUSD-I). A unit of the Office of the Secretary of Defense, OUSD-I exercises planning, policy, and strategic oversight over all Department of Defense intelligence, counterintelligence, and security matters. OUSD-I serves as the primary representative of the Defense Department to the Director of National Intelligence and other members of the United States Intelligence Community. The annual budget for the USD(I) is contained in the Office of the Secretary of Defense's (OSD) budget, under the Defense-Wide Operation and Maintenance (O&M) account. 1 2 "getdoc.cgi" (PDF). Retrieved September 22, 2007. ↑ "Executive Order: Providing An Order of Succession Within the Department of Defense". Office of the Press Secretary. Retrieved December 22, 2005. ↑ "Fiscal Year (FY) 2012 Budget Estimates, Office of the Secretary of Defense (OSD)" (PDF). Under Secretary of Defense (Comptroller), OSD. 2011. Retrieved 2011-08-29. ↑ "Department of Defense Key Officials" (PDF). Historical Office, OSD. 2004. Retrieved 2011-02-01.